Shattered glass becomes a beautiful vase. Shattered glass becomes a beautiful vase. Foster breaks the mold when it comes to dreaming up romance. Jed and Josie held my heart in their hands. From beginning to end my emotions were hard to control. Having read Mad About Moon, I knew what to expect, but the addition of Morgan and Woodward gave the heartache a life of it's own. Fires tend to burn deep and this one quickly became an inferno. This book is full of emotion. In previous Whiskey books you see how much they give back to the community and protect those in the family and in their inner circle. Jed is no exception to that. He shows what it means to be a Dark Knight and just a good man in general. This book has both a female and male narrator and these two did not do it for me. Their voices didn't seem to match up with the characters. Character voices didn't seem to stay the same through out. With that being said I love the story and could not stop listening. I can't wait to see what is next for the Whiskey's. I so enjoy this wonderful series and this book really tugged on my heart strings. This was another great addition to this series. Jed has been a character that I had been hoping that would get his story told. He and Josie both had a brief past together and were reunited later by coincidence. Both characters were well written with life issues that they needed to overcome to find their HEA. 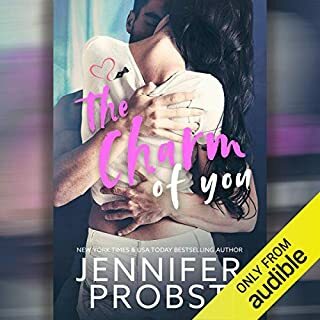 Both characters were realistic and relatable in that Jed with his troubled past, substance abuse addicted mother and Josie with her grief from her deceased husband, being a single mother and down on her luck. Josie also had issues with her family (Sarah and Scott) and her perceptions of events of their pasts that she also over came once she learned the truth. 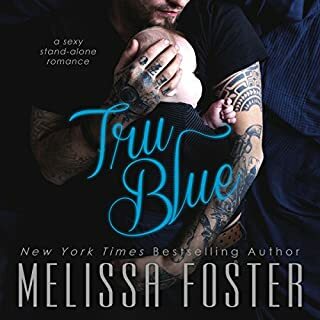 I enjoyed Josie and Jed's story as it moved along well and I also enjoyed the return of the characters from the previous books and the sense of family that is in each of Ms. Foster's books. 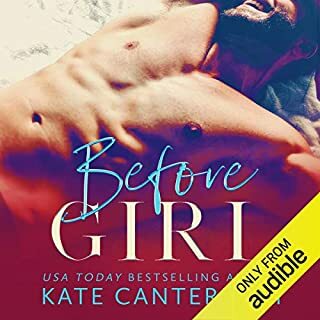 The audio edition for this book that was performed by Derva Woodward and Jacob Morgan was performed well in that the narrators told the story enthusiastically and clearly. They both did well differentiating between characters and made the book an overall enjoyable listening experience. Melissa just gets better and better with her stories. Jed and Josie had such a hard life growing up. They called Jed, Moon and he had such a loving heart that it just melted my heart. Josie was a widow with a little boy to raise. She was perfect for Moon. Jacob Morgan was the perfect narrator for this one. When he did the little boys voice, I could just feel what his life must have been like as a little boy. Full of himself! Devra Woodward was super great as the female narrator. If you haven't listened to any other book, don't miss this one brought to life by these narrators! I adored this emotional ride! Just Loved Jacob Morgan's narration! Fab Book to listen to. A sweet book to listen to with a great story line & a bit of a twist for you also, looking forward to the next book in the series.